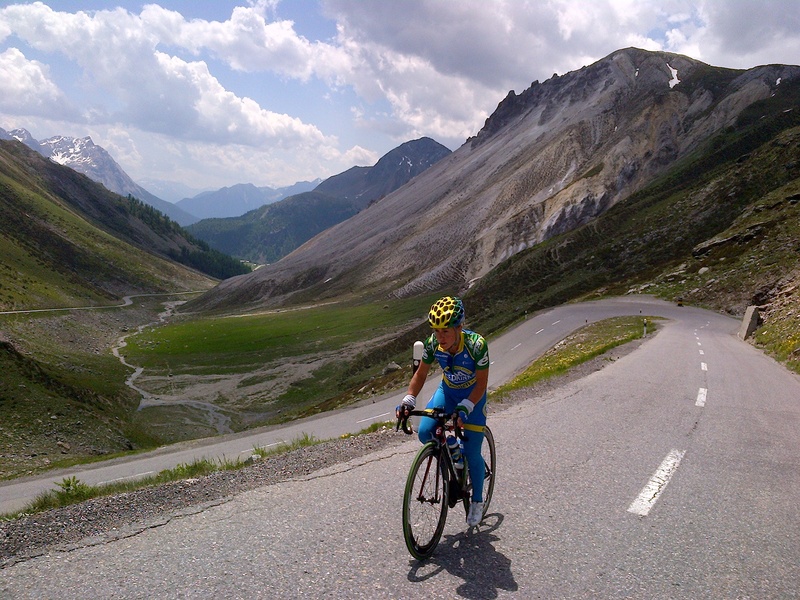 As part of my preparation for the Olympic Games, I spent some time in the small country of Livigno, on the border of Italy and Switzerland. Just being in Livingo put me at 1,800 meters altitude, which is much higher than my normal residence at sea level on the beach in L’Estartit, Spain. Every day, my training took me to an even higher elevation, as high as 2,700 meters. Here, I would learn to love to climb. My time was spent training and recovering, which are my two priorities and what I am completely focused on up until the Olympic Road Race on July 29th. Outside of this, I was able to create a personal website so that all of my family, friends, and fans can follow me on this journey of a lifetime. There were dozens of other cyclists in Livigno, training for the Giro like me, or training for the Tour de France, and quite possibly also for the Olympic Games. I saw Rasmussen of Garmin, Rogers and Sutton of Team Sky, Albasini and Linda Villumsen of GreenEdge, Larsson of Vacansoliel, Quinziato of BMC, the Italian and Australian National Teams, and the RusVelo Team. I also saw many athletes from other sports, like running, speed walking, cross-country skiing, and track & field. Some of these athletes were also training on the bike. It was both motivational and inspirational to see so many other athletes every day. Every day I crossed paths, literally, with some kind of animal. There were healthy and clean cows everywhere, marmottes wrestling, horses and their babies, ponies and their babies, and herds of sheep in the strangest places. The place was epically beautiful and it had everything that I needed as far as training to prepare for the challenge ahead of me. 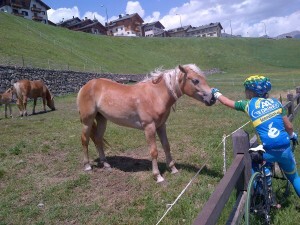 One of the best things about staying in Livigno was that it reminded me of my fondest memory in cycling. 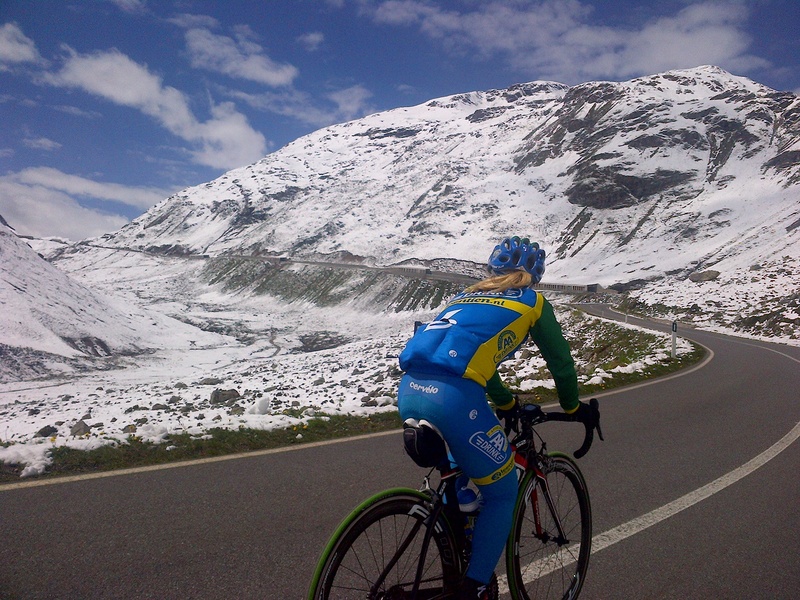 In 2010, a stage of the women’s Giro d’ Italia (the most prestigious race on the calendar for women), finished in Livigno. The next day, and what would be the 9th stage of the tour that year, the race started in Livigno and finished at the top of an epic 20km climb called Stelvio. These were the “queen” stages of the 2010 Giro and where the race was ultimately decided. That year, I was racing for my second consecutive year in the red white and blue colors of the USA National Team. We were a team of 8 incredibly talented riders with the best director in the business, Manel Lacambra, directing the team. 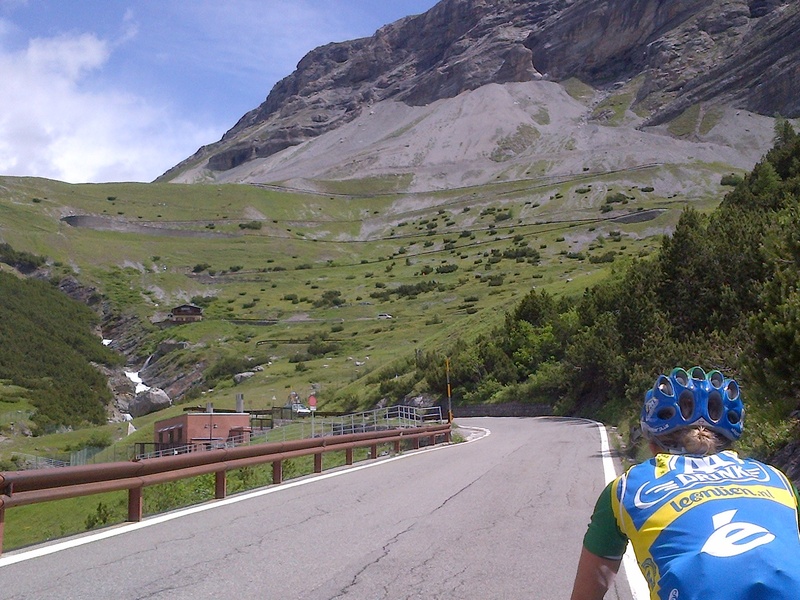 The Stelvio stage would prove to be the decisive day for Mara. About half way up the climb, Mara was in front riding with only Emma Pooley of Great Britain. 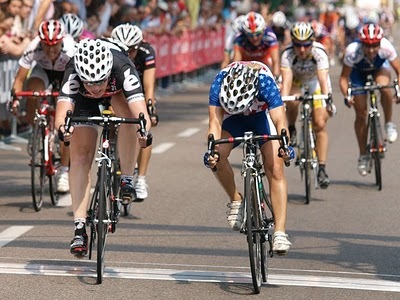 She waited until just the right moment and attacked with 2 km to go and put more than a minute in her rival before the top. That day Mara sealed the overall victory. We knew that we were racing for Mara from the day the tour began, but it took until almost the last stage for her to take the leaders jersey. Every day we had one primary goal, protect the eventual winner of the tour, and we strongly believed as a whole that the winner was on our team. Day after day we met our goal and if something else could be taken out of the stage, then we took it. Like practicing the leadouts for the sprints, working as a team on the front to split the field, or putting our girls on the front in the climbs to position Mara and make a little pain for her rivals. Everyday we were working towards the end goal, overall victory of the most prestigious race in the world for women. Throughout the experience of the 2010 Giro d’ Italia I learned about sacrifice, patience, and persistence. But what I learned most was how to be a part of a team. 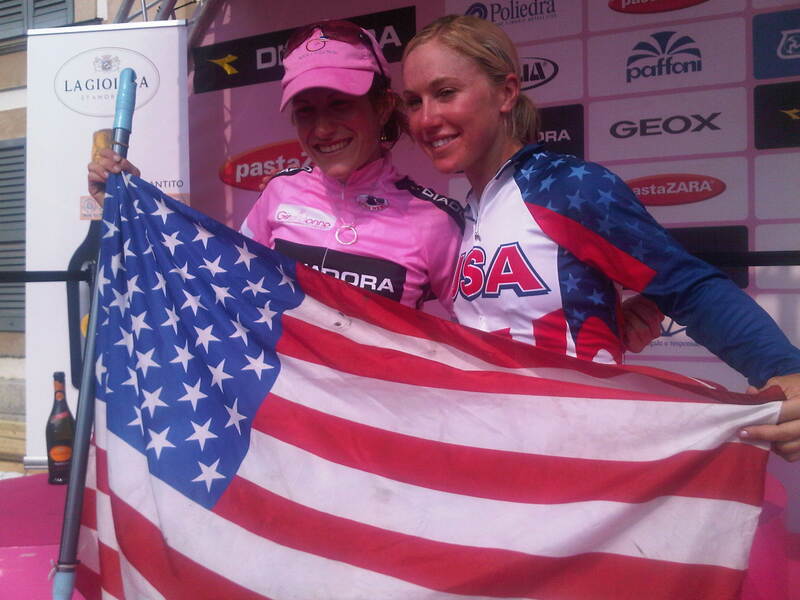 In 2010, the US National team won the Giro d’ Italia with Mara Abbott, the first time an American had ever won the race. I think what made this race so special for all of us that year was that we did it together, as a team. We made history, as a team. We suffered and triumphed as a team. When it was all said and done, we won three stages and the overall. 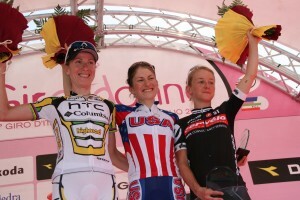 I won the field sprint on the last day to claim what is still my biggest victory and the one for which I am most proud. But I did not win alone. I had the help of all my teammates, especially Sinead Miller and Theresa Clif-Ryan. Sinead put and kept me in the best position to win in the last 3km and Theresa gave me the perfect leadout to drop me off at 300m to go. I was elated after the race for the personal victory and the victory of the team. So often in cycling, the winner is the only rider that is recognized. It’s really a shame. I have won a handful of international races in my life. I can tell you that this victory was the most memorable one for me because when I finished the race and came to thank my team, everyone shared in the celebration. I could see the smiles on each of the girl’s faces and we were all genuinely happy and proud of OUR accomplishment. That for me, was the best feeling and the best moment in cycling. Check out this beautiful video that was put together for our team after our victory. As I prepare for the Giro d’ Italia again this year, I look forward to being a part of a team with ambitions of and the ability to win the overall. 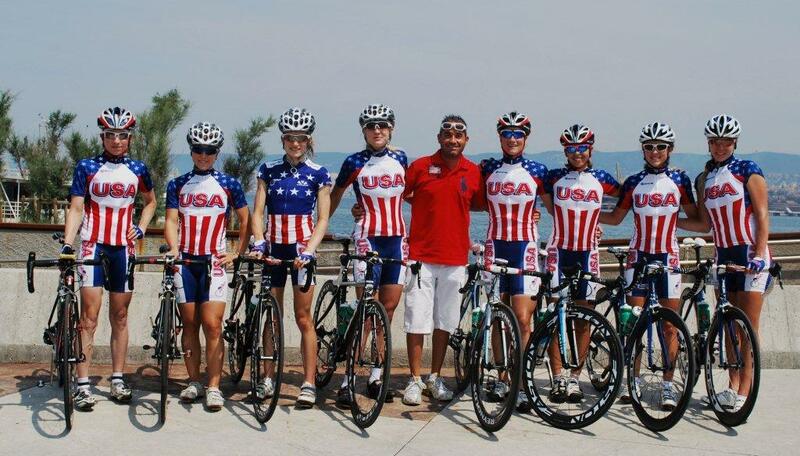 But a little further down the road, I look forward to being a part of the US National Team again as we look to accomplish our goal of winning a medal in the Road Race for the first time since 1984.